Home /Blog/Dove Promises Variety Mix Chocolate Candy, 150 pieces only $11.55! 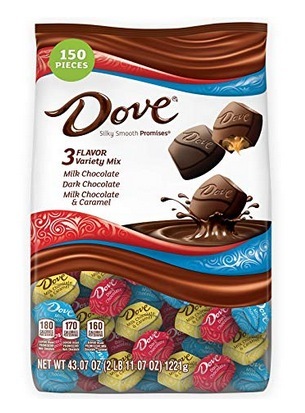 Amazon has this Dove Promises Variety Mix Chocolate Candy, 150 pieces for only $11.55 when you clip the 15% off e-coupon! This is the lowest price on record!